Ingredients - What's In Your Beer? — BAD JIMMY'S BREWING CO. Ingredients - What's In Your Beer? Beer is made of four basic ingredients. These ingredients work together to influence the flavor and aroma of our favorite beverage. Malted grain, usually barley, is the meat and potatoes - the heart of beer. It's the basic ingredient that helps give your beer its unique flavor, color and body. Technically speaking, malt provides the complex carbohydrates and sugars that are needed for fermentation. It's flavors are commonly associated with tastes and smells of baking like caramel, chocolate, coffee, bread, and more. Roasted and toasted variations of these flavors are also common- especially in craft beer. The combination of roasting time and temperature determine the ending color of the malted grain as well as the flavor it imparts on the beer. Think of hops as the variety of spice options added when you cook or bake. 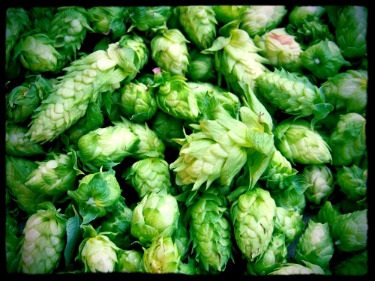 Brewers use the cone-like flower of the hop vine to give beer a bitter (hoppy) flavor to balance the sweet sugars that come from the malted grain. If you detect citrus flavors, herbs, spice, or floral notes in your beer it is the hops you have to thank (or blame!) depending on your individual palette and taste preferences. When yeast does its magic, it produces carbon dioxide and alcohol along with a myriad of other flavors and aromatic compounds that are typically fruity or spicy. Technically speaking, yeast converts the sugar from the sprouted barley into alcohol. Simply put, without the yeast there would be no alcohol- no tipsy, no buzz, no beer goggles! Water has the most complex influence in beer making. It either enhances or lessens the expression of the other ingredients. Certain minerals in water make the hops pop. A bit of sodium boosts the malt. Every beer displays the character of all these ingredients to lesser or greater degrees. Beer styles are determined by the intensity of each ingredient relative to the others. "Brewing is a magical process, presided over by magicians. 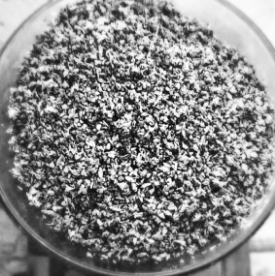 Anyone who can take simple ingredients such as grains of barley, hop flowers and water and turn them into such a beguiling product as beer is clearly someone special"